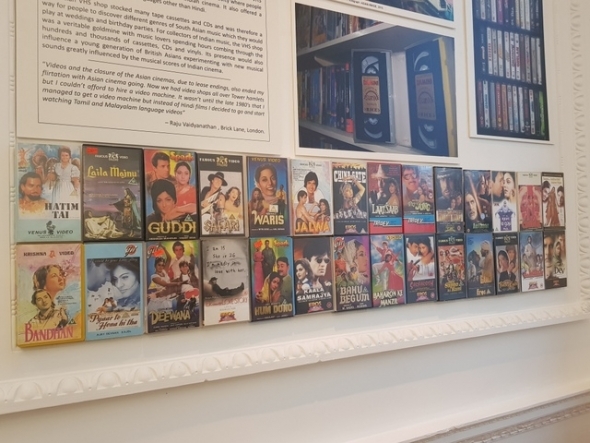 FOR AROUND a year now, volunteers from the UK Asian Film Festival (UKAFF) have been collecting Indian film memorabilia and recording people’s memories of Bollywood as experienced in the UK. Festivalgoers at the launch on Monday also saw a documentary film compiled by Dr Ashvin Devasunderam, assistant director of the UKAFF and a lecturer in world cinema at Queen Mary University, London. It interviews many people, both old and young, who remember watching Indian films in Britain. There are some surprise star contributors and after the screening, Dr Devasunderam invited the audience to share memories. One woman recounted her experiences in Glasgow, where the Asian community would come together and watch a film at a local cinema. She said everyone came and enjoyed themselves, regardless of their religion or other affliations. For many too, watching Bollywood films was an escape, a chance to reconnect with a culture they had left behind, and an escape from the racism that often prevailed outside – especially in the more politically charged personal environment of the 1970s and 1980s. Dr Devasunderam later added: “I am delighted to have directed the documentary film – ‘Movies, Memories, Magic’, which was made under the banner of the Memories Through Cinema heritage project.